After enjoying a few glasses of fizz with our friends and family, Simon and I managed to sneak away to nearby Northumberlandia without anyone even noticing us vanish. Simon took a cheeky selfie of us in the back of the car which actually ended up being the first photo on Facebook of our wedding day! 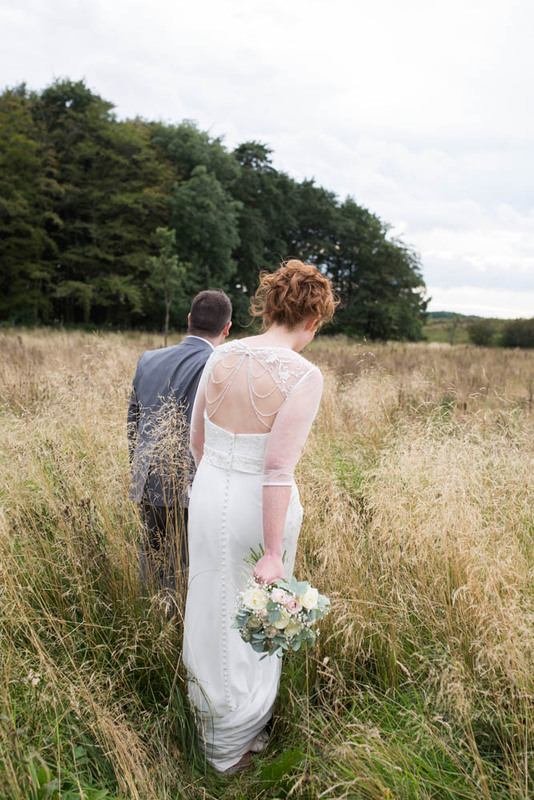 Although there are some beautiful locations at Blagdon Parlour for wedding photographs we decided to do our couple shots at Northumberlandia where there was a lot more space and we'd be away from our guests. We didn't particularly want an audience for these shots and wanted to create something really beautiful that people wouldn't see on the day. 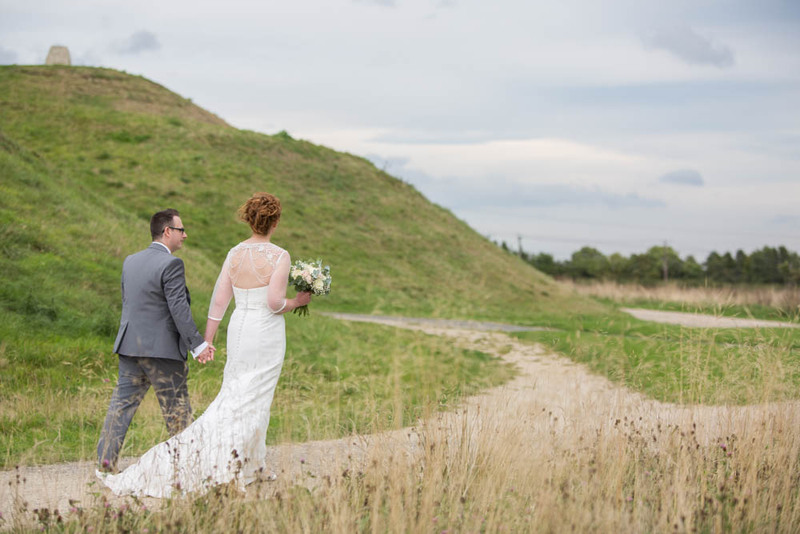 On first impressions Northumberlandia probably isn't somewhere you'd think of for taking beautiful wedding photos but it's amazing what you can find when you really look at what's around you. 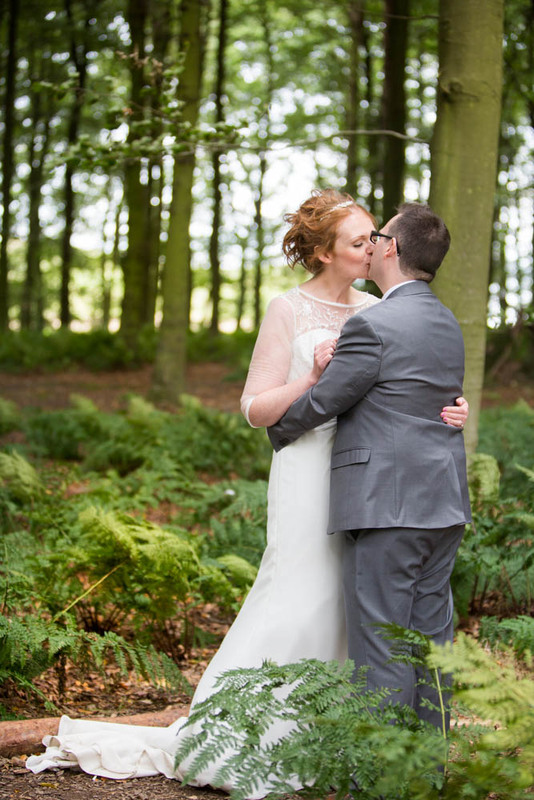 Our shots were mostly captured in some trees near the car park and standing in some very long nettles off the path! I could have happily stayed out there all day taking photos and, as bad as it sounds, I almost forgot we had guests to return to. It was so lovely to spend a bit of quiet time with Simon and my memories of that 20 minutes at Northumberlandia are some of my most precious from our day. 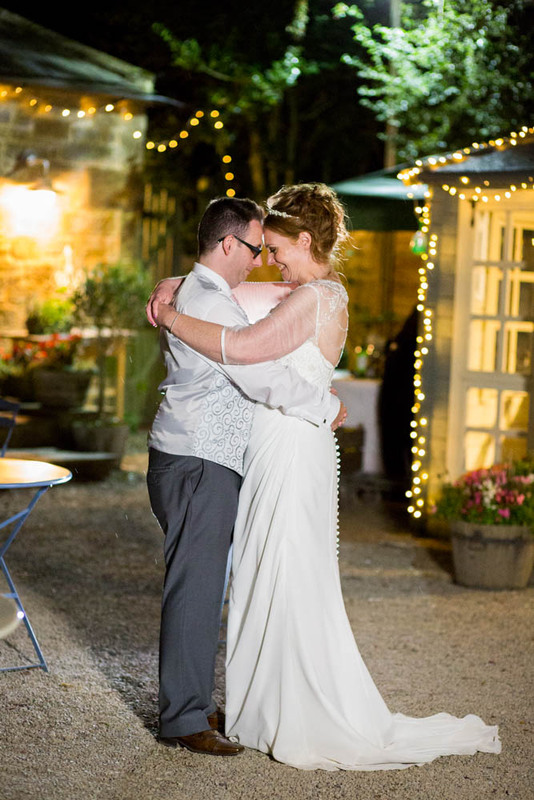 On our return to the Blagdon Parlour we made use of their beautiful courtyard for a few shots with the wedding party and family. 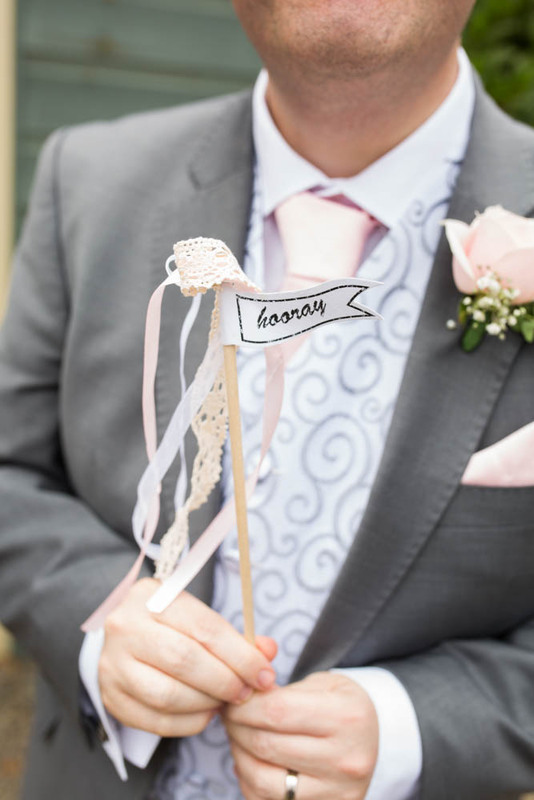 Although small there are some really eye catching features that are perfect for wedding photos. The most popular moment of the afternoon had to be when we brought out our huge 3 foot balloons. 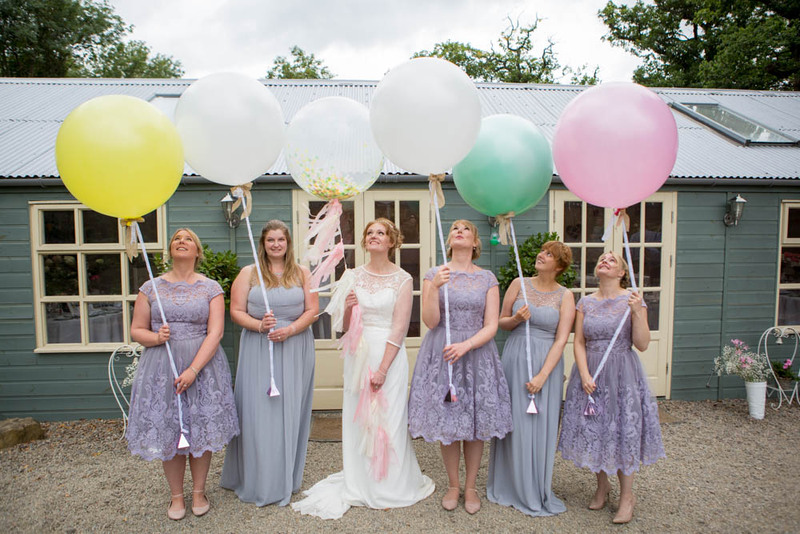 One for each bridesmaid in different pastel colours, with matching lace and hessian ribbons. 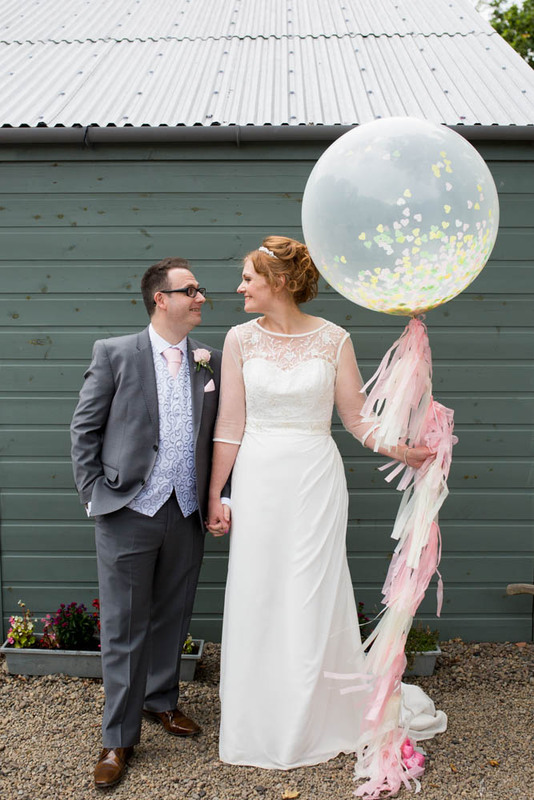 The real showstopper was my balloon which had the most beautiful pink and white tassel tail. 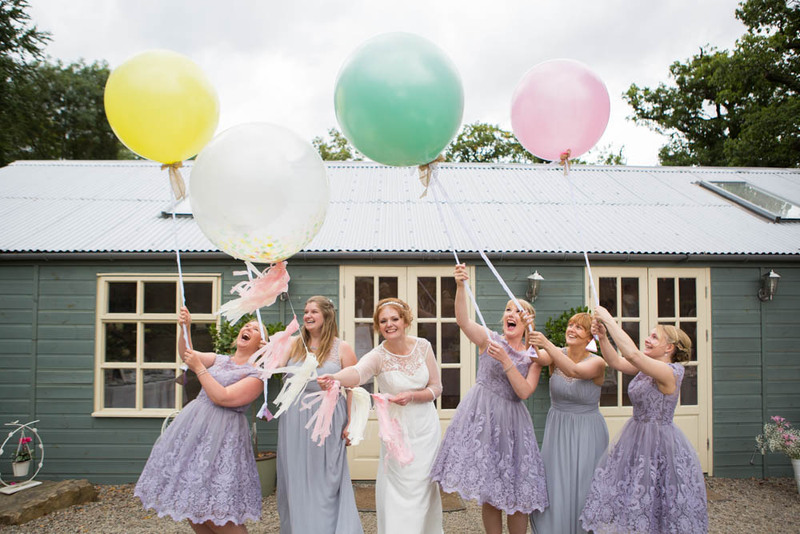 Little did everyone know that mine was a special confetti filled balloon! 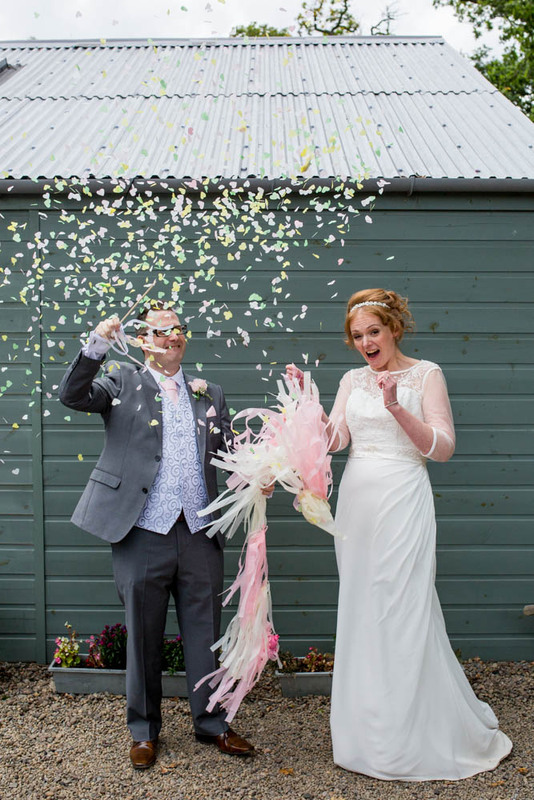 Rather than doing the traditional confetti shots we gathered our guests to watch Simon burst my balloon, covering us both in a flurry of confetti! So much fun and it definitely made for some fantastic photographs. With photos over we made our way into the Willow Room for our wedding breakfast. Simon and I are huge fans of afternoon tea in the countryside so decided to decorate the room in the style of a beautiful countryside tea room. 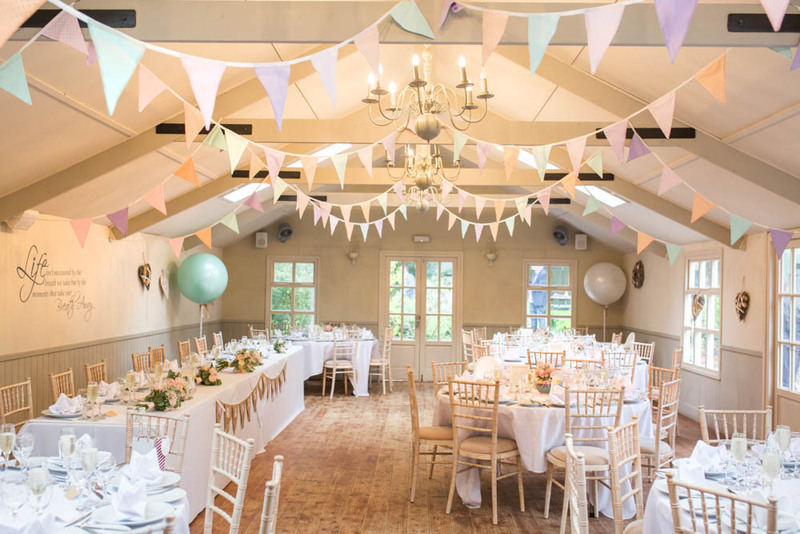 We had teapot floral displays as centre pieces and the room was decked out in customised bunting to match our invitations. 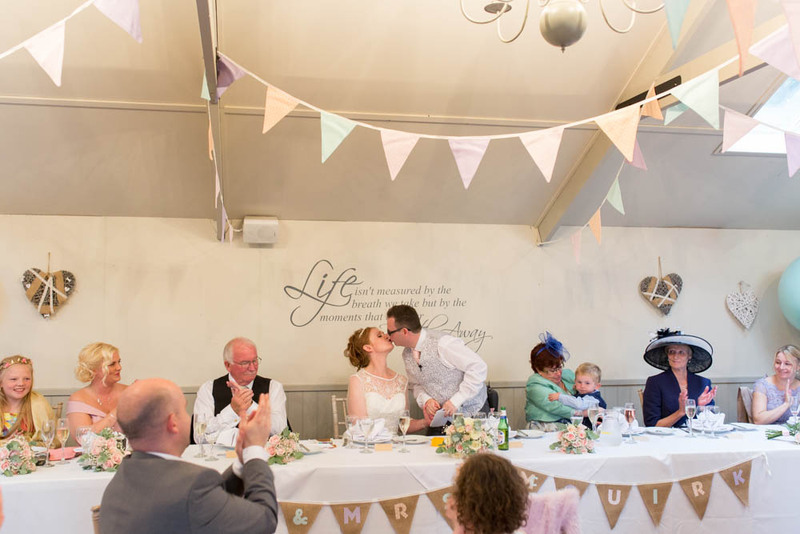 We decided not to go with a traditional three course wedding breakfast and instead served a Northumbrian Lunch including platters of bread, quiche, meat and cheeses, a mini scone with jam and cream and then each person got an entire plate of mini desserts to themselves. We were so happy to be able to show off the amazing produce that we have here in the North East and each time someone came up to me to compliment me on the food I wanted to burst with pride. We had also decided that we didn't want favours on the tables as all too often they are unwanted and left behind so instead we organised a caricaturist to go round and draw pictures of our friends and family. It took him a few minutes to draw each person and everyone who had a drawing got to take them home. He came to draw Simon and I at the top table and we love the drawing so much it's now framed and on display as a great memento of our day. The speeches made me laugh and cry, with Simon's best woman Jo stealing the show with her speech that was delivered so beautifully I've found myself watching it over and over and again ever since. 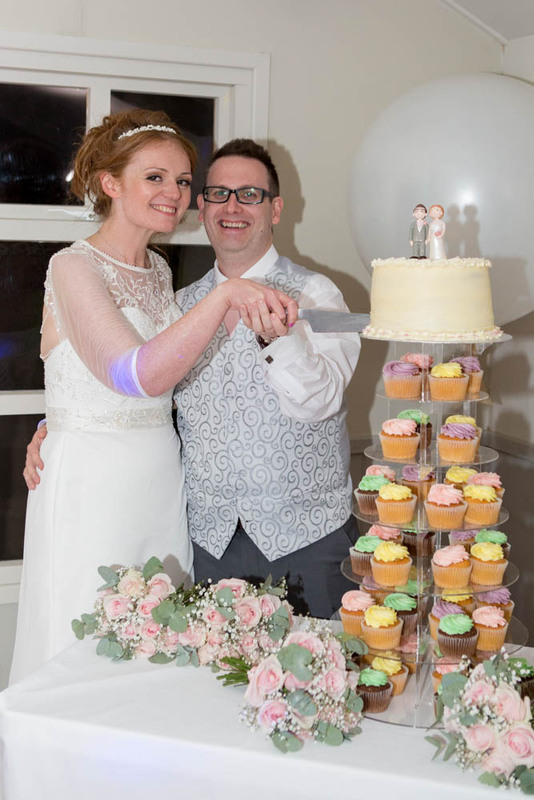 With food over it felt like a few moments later our evening guests had started to arrive and then we were lead back into the Willow Room to cut our cake. Before leading our first dance with Nathan Sykes "Over and Over Again", a song we both love. Being pretty rubbish at dancing it was mostly swaying and pulling silly face at each other. We followed the first dance with Bruno Mars "Marry You" before the disco really started with lots of great pop tunes to get everyone dancing. I've always been a fan of the cheese and loved having a Girls Aloud 5 song set followed by songs from my favourite boybands from years gone by. 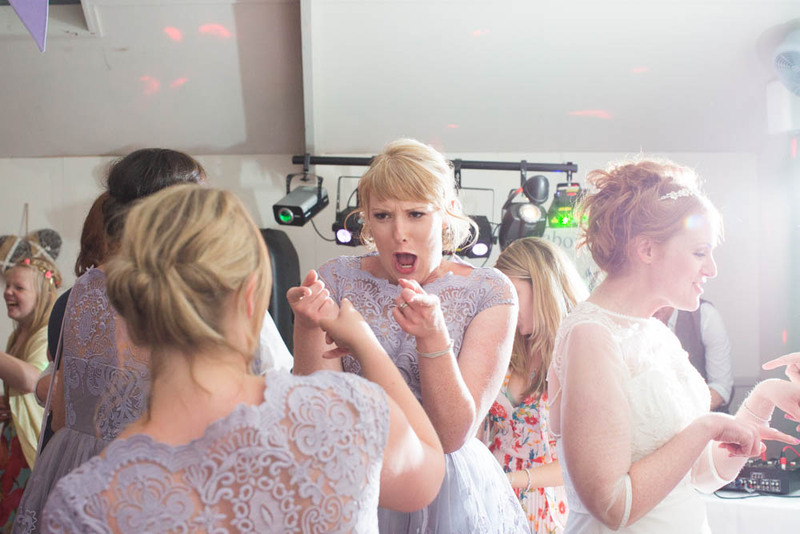 I bet not many brides have danced to the Blazin Squad "Flip Reverse"! Of course there were plenty of nods to the North East with "Let's Get Ready to Rumble" and Cheryl as the night went on. The rest of our night vanished in a complete blur. It was many hours between our photographer and videographer leaving and the night ending but I have no idea what I was doing. I have complete wedding amnesia! I was so dehydrated I was on water nearly all day so we can't blame the fizz! I guess a combination of being deliriously happy and overwhelmed has made me lose my memories. I'm really hoping they come back one day but in the meantime I'm enjoying filling the blanks with stories told by my friends. 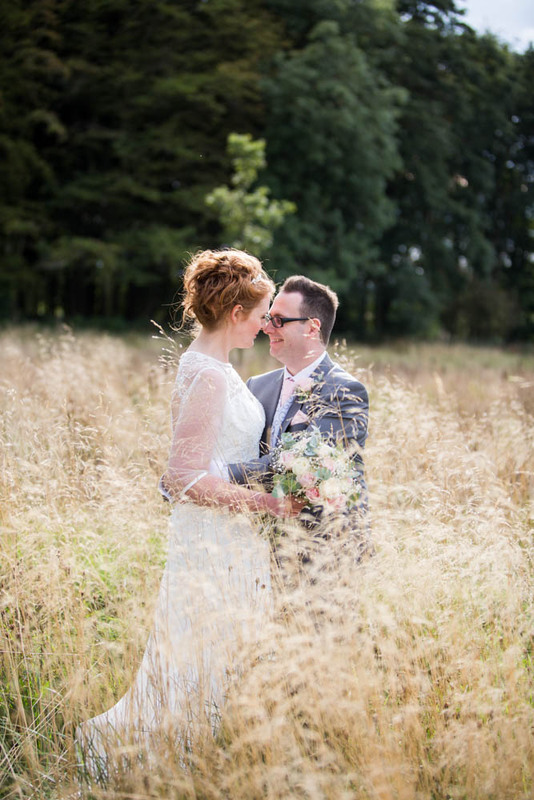 Our wedding was the most amazing day of my life and although it was over in a flash and my memories are hazy I am so excited about our future as Mr and Mrs and can't wait to begin our next adventure together.